Normally company provides a fixed number of leaves to employee. If a person takes less number of leaves, he can claim salary from the company for leaves not taken, This is called leave salary or leave encashment . 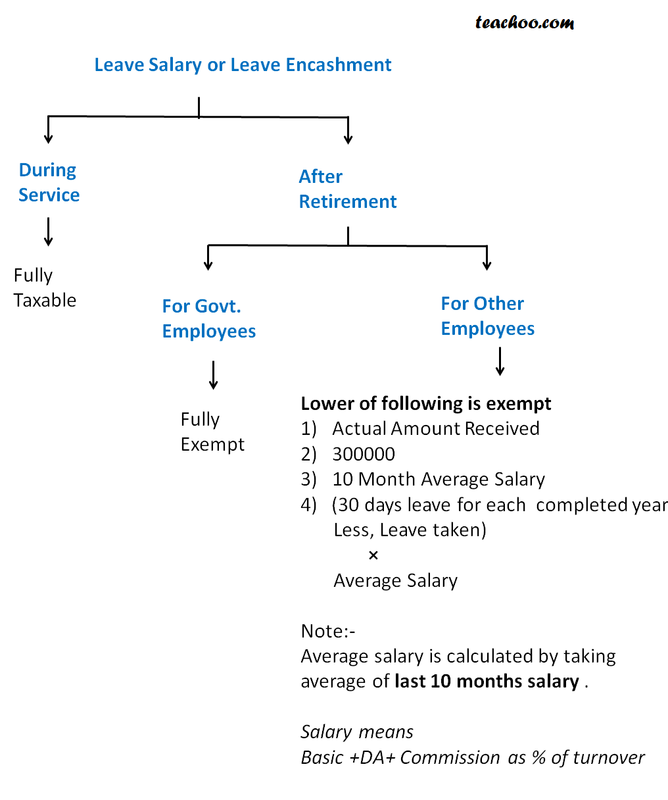 2.However if it is provided after retirement , then it is fully exempt for government employees. Average salary is calculated by taking average of last 10 months salary . Mr. Gupta retired on 1.12.2015 after 20 years 10 months of service, receiving leave salary of Rs 5,00,000. If the assesse has claimed exemption Earlier of Rs.100000/- regarding leave encashment balance Rs.200000/- maximum exemption he can claim this year .